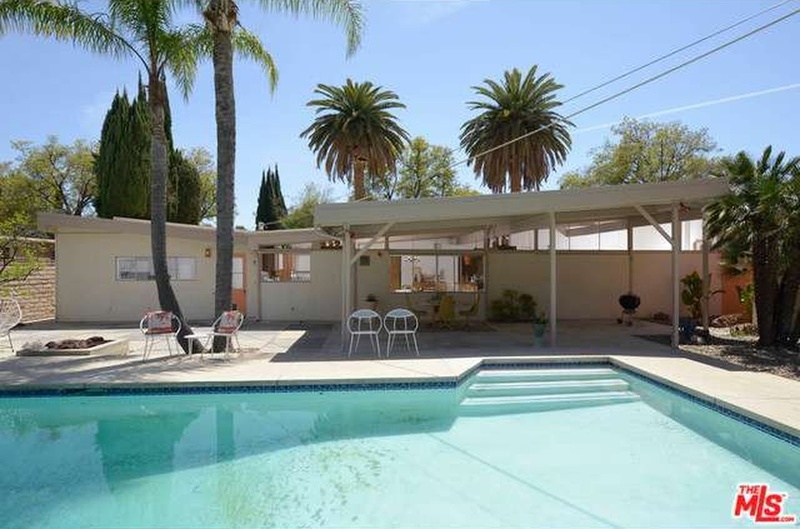 Built in 1957 by builder Sanford D. Adler is this two-owner Living Conditioned Home in Northridge, CA brand new to the market. Once the original sales model for the Living Conditioned subdivision, this home remains relatively unchanged with only a laundry room added on to the back of the two-car carport (now garage) accessed from the kitchen. 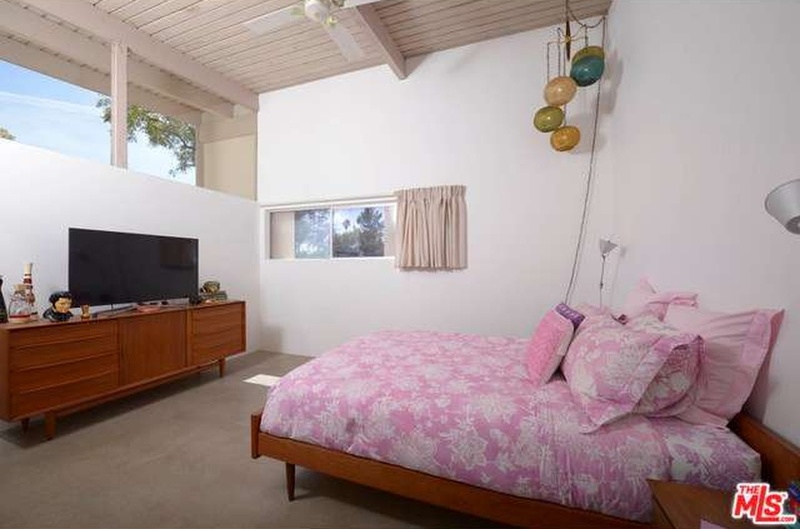 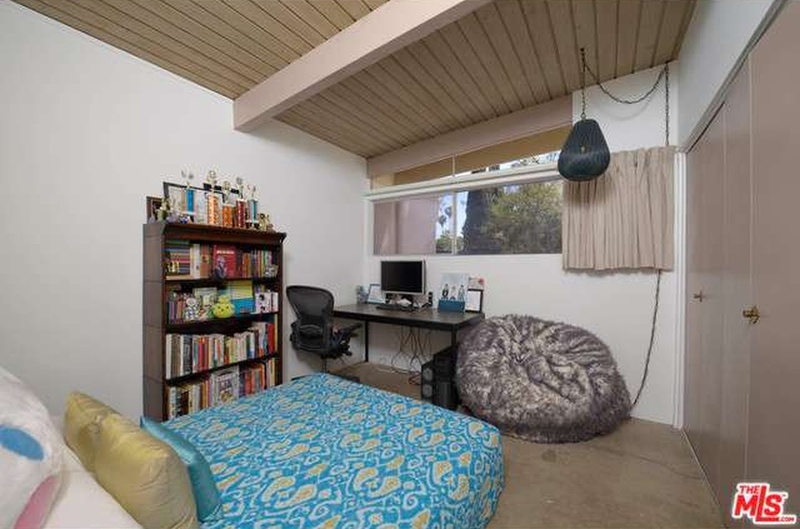 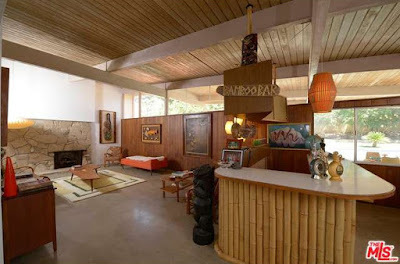 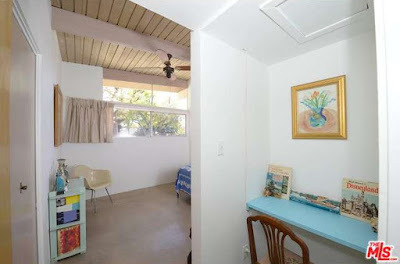 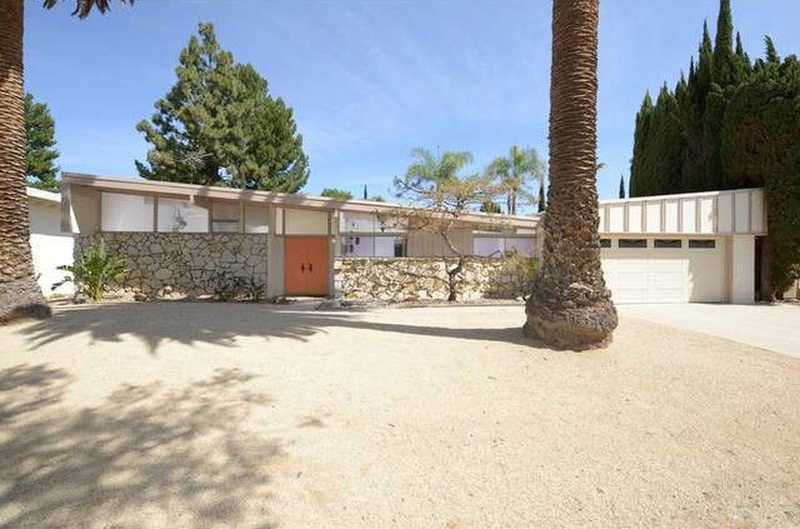 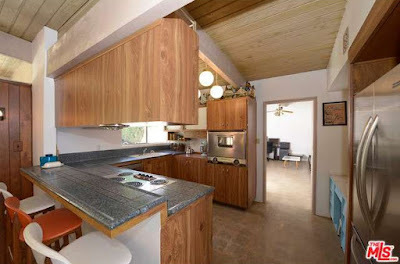 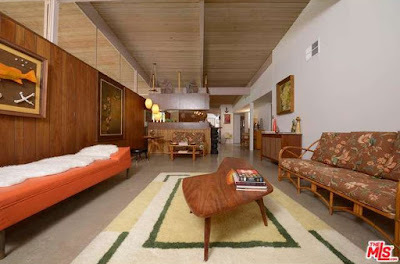 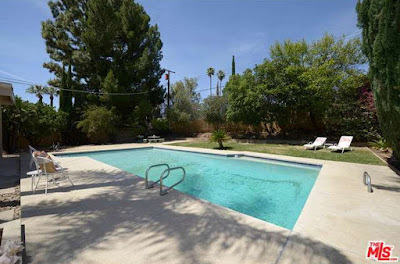 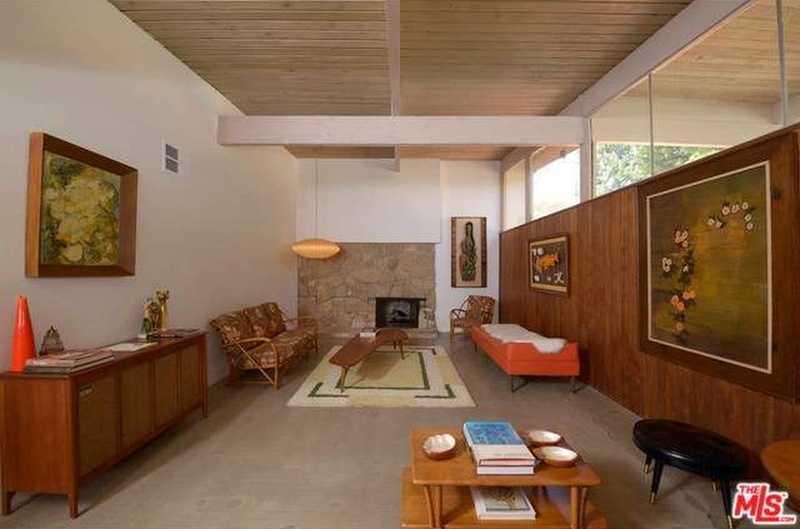 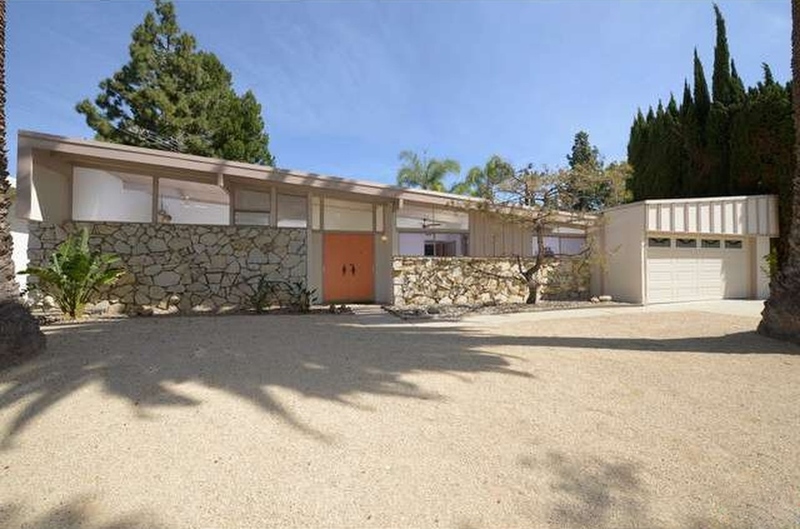 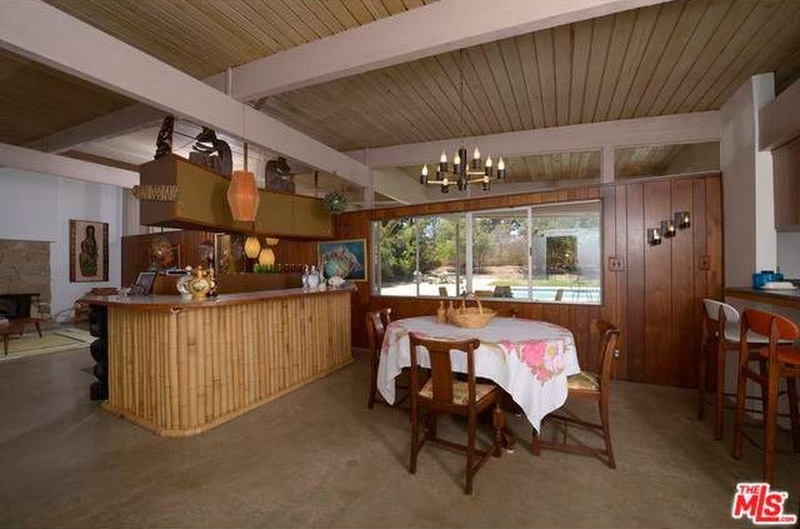 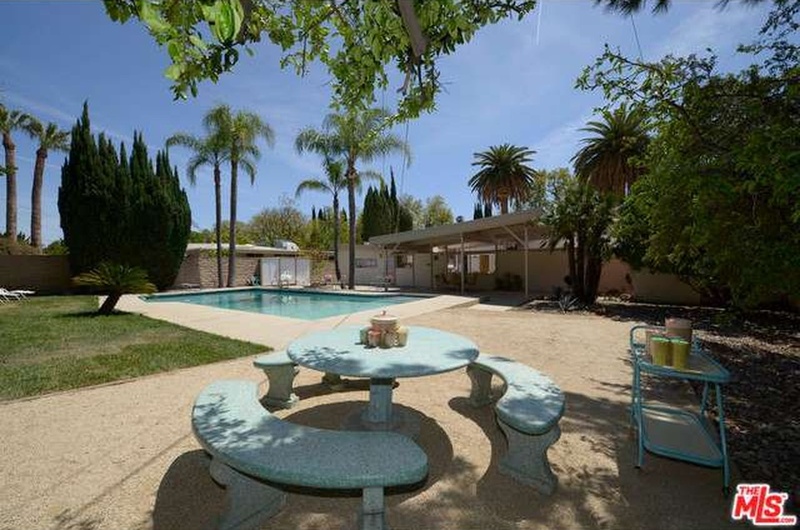 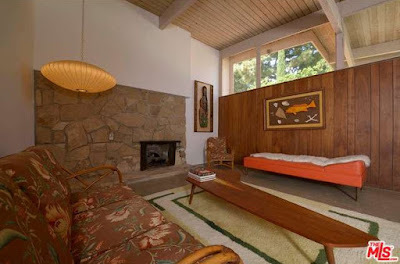 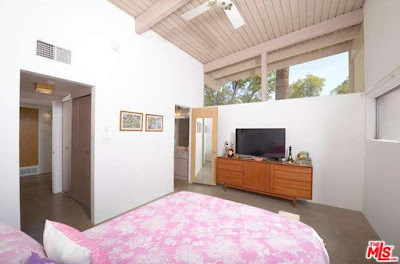 This true midcentury modern three bedroom, two bathroom home sits in 1,812 square feet on a large 11,300 square-foot lot with pool and carries an asking price of $695,000. The exterior of the home features some of William Krisel’s design style at its best. 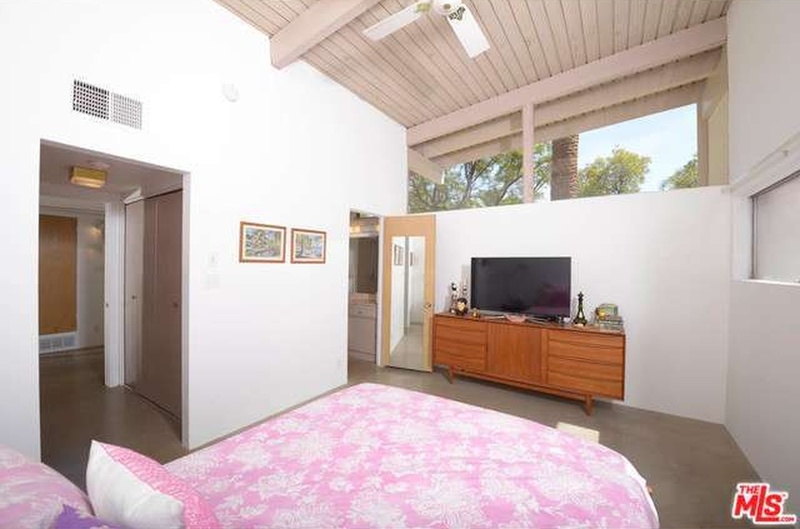 The butterfly roof creates a strong streetside impression, with the garage offset slightly from the façade of the home and vertical board and batten siding accents the garage roofline. 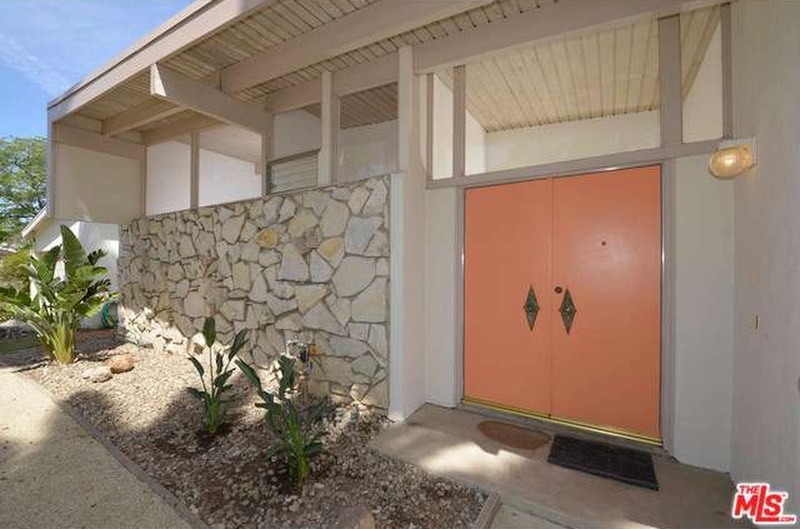 Natural stone veneer sits beneath clerestory and secondary bedroom windows, while a thoughtfully placed sunflap shields the western-most clerestory from the setting sun. 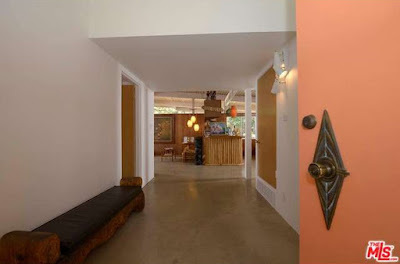 A pair of bright orange double doors with original escutcheons leads visitors and guests through the wide entry hall into rear-facing living room. The floors throughout the home have been converted to clean-polished concrete with remnant ghosting of the original VCT tiles seen throughout the property, while the original open beamed wooden ceilings are still in place. 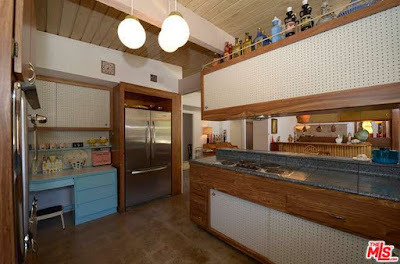 A fun, vintage-inspired tiki bar with suspended cabinetry sits between the dining room and living room serving as a room divider to the space and a perfect entertaining centerpiece. The living room is anchored by Krisel’s signature modernist fireplace, with stone veneer accents and a well-placed vintage George Nelson bubble lamp accent. Original paneling and north-facing clerestories tie the room to the adjacent dining room which overlooks the backyard and swimming pool. 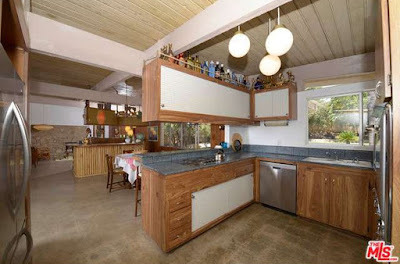 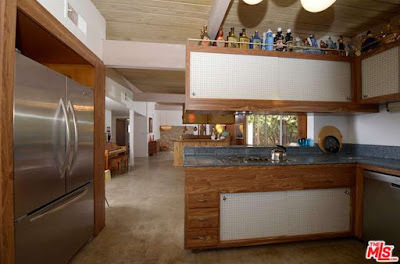 The kitchen sits adjacent to the dining room, still featuring its original signature Krisel blue speckled tile countertops with pegboard slider and wooden cabinetry. 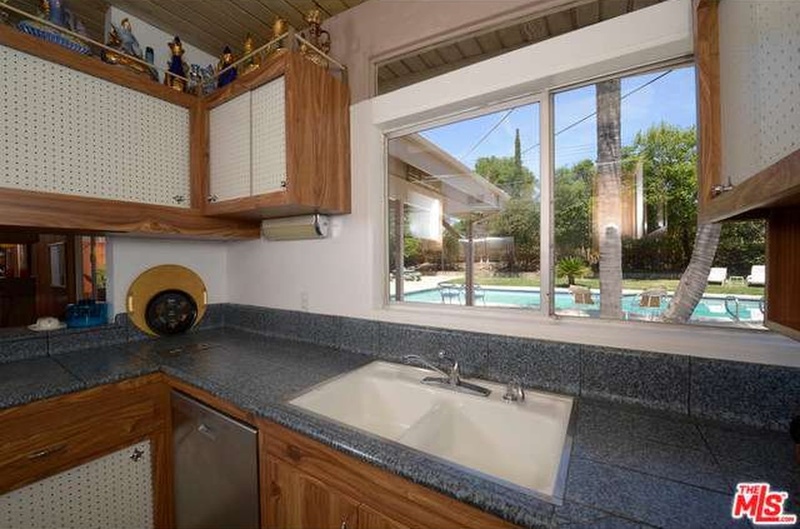 The original 1957 stainless steel wall oven remains exactly as it was in 1957 while the electric range appears to be vintage as well. 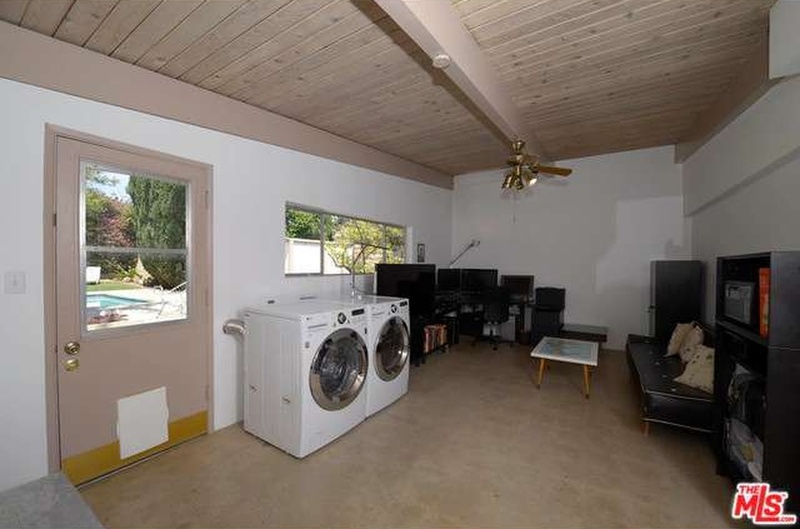 The laundry room addition lies just beyond the kitchen, carrying forward the roofline of the home with exposed wooden ceiling. The master bedroom sits at the front of the home off the entry, overlooking the side yard while large south-facing clerestories flood the room with natural light. 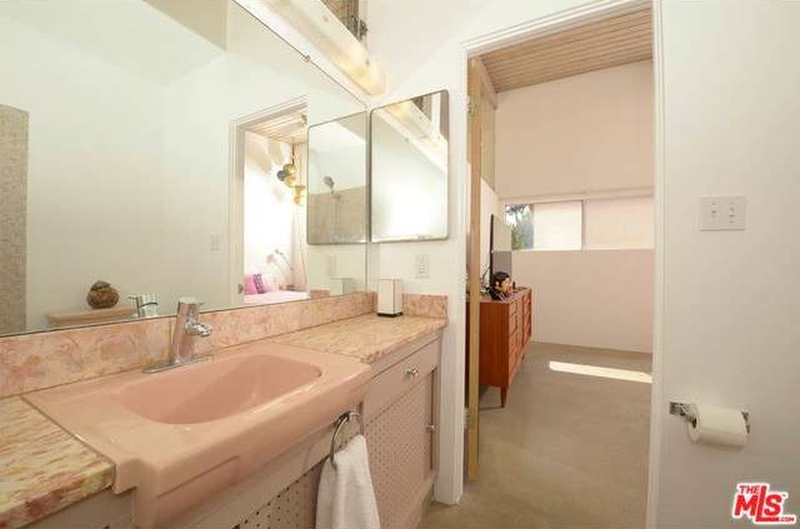 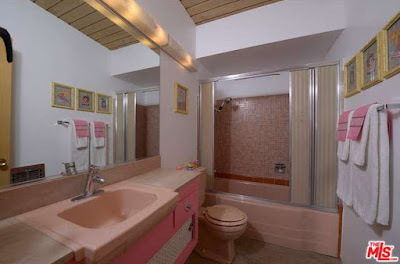 The adjacent master bathroom is completely original, with lighting, mosaic tilework, stone counters, pink American Standard Pullman and floating pegboard cabinetry all in pristine condition. 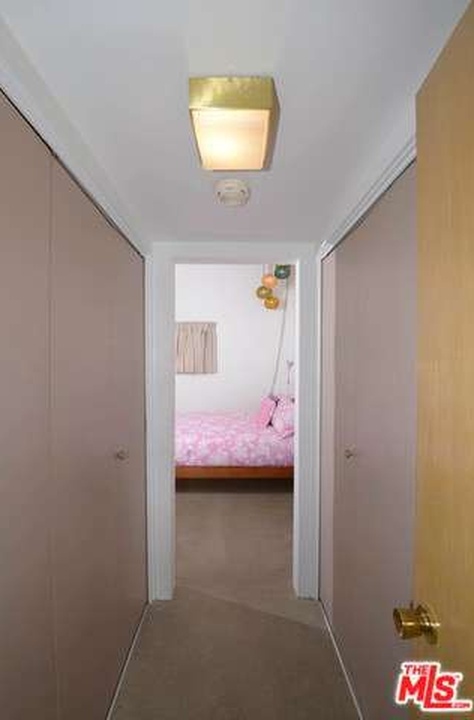 The two secondary bedrooms are split from the master, accessed off the kitchen area, with one bedroom featuring a small built-in vanity. 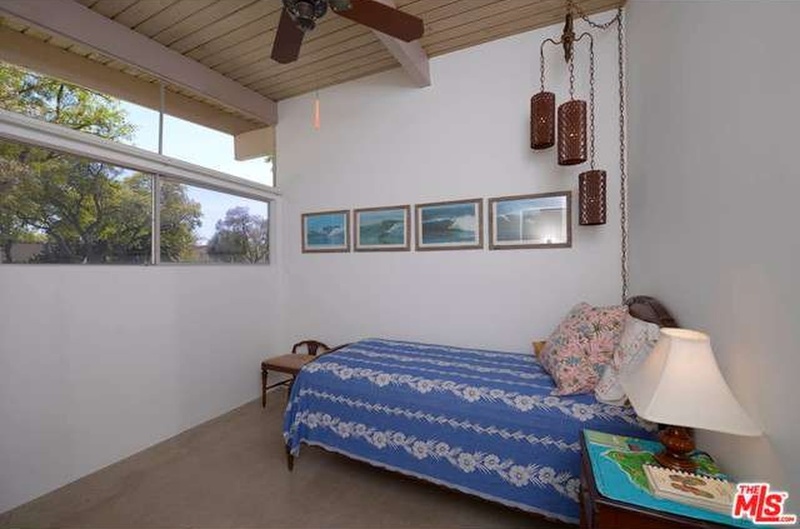 Both bedrooms overlook the front yard with large south-facing windows and clerestories, while the bedroom closets all feature their original pulls. 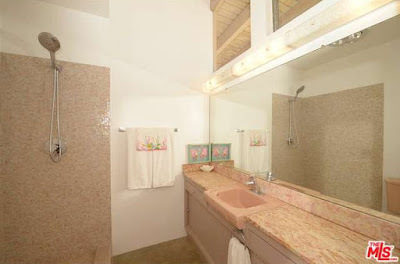 The adjacent guest bath is as original as the master bath, maintained as a perfect time capsule of modernism with everything as originally intended by Mr. Krisel. The large north-facing backyard features a covered patio off of the living room and ample patio space surrounds the rectangular in-ground pool. Mature plantings line the perimeter of the yard, while a small patch of grass sits beyond the pool offering welcome patch of greenery. 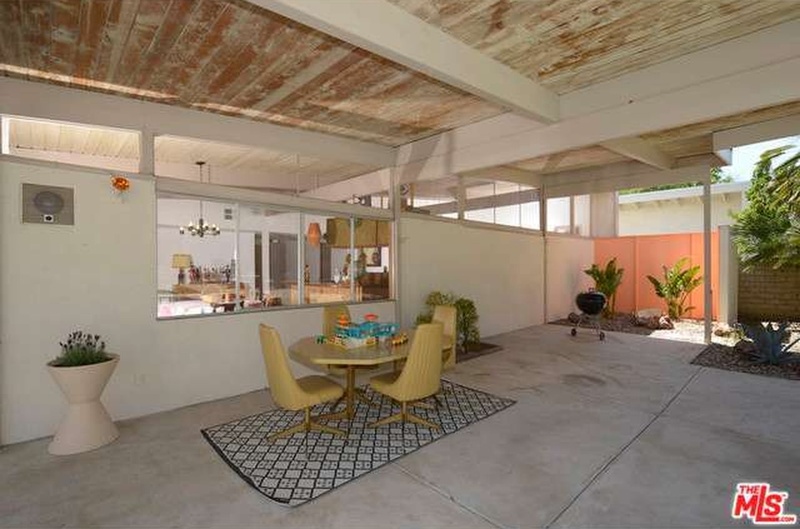 Well-preserved modernist homes like this one don’t come along every day, and this property presents a unique opportunity to acquire an iconic piece of midcentury architecture in a signature Northridge neighborhood. 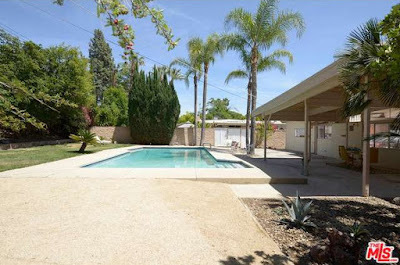 This midcentuy home is going to sell fast, so be sure to check it out before it’s gone.